Komplex, Sequencer from Koma Elektronik. Koma Elektronik started with small synth devices but its looks like the size of its creations is growing with its popularity. 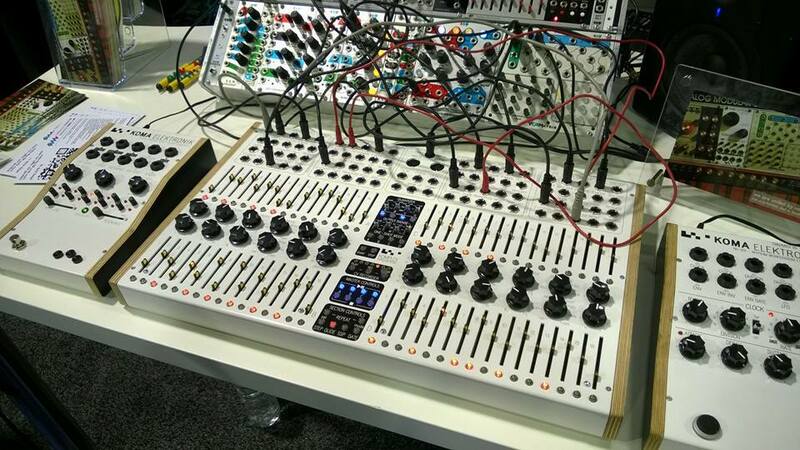 Koma Elektronik introduces this weekend at NAMM 2015 the Komplex sequencer, a large 19” 7U device equipped with four 16-step sequencers that can sequence each other. Each sequencer has its own Start and Stop controls, quantize function with chromatic, major and minor scales, a one-shot mode and 5 playing modes (forward, backward, ping-pong, ping-pong reversed and random). You can also sent the voltage for each sequencer (2, 5 and 9V). You can also control the sequence start pont, clock division, glide amount between step, types of step (skip step, repeat step and repeat length), CV transpose the sequence, trigger from an external device and use an LFO or another sequencer to control the sequence or gate length. 64 sliders are available for the step control, along with 64 RGB LEDs and push buttons for the different available controls. All the features on Komplex have their own respective input and output on the 86-patch matrix, some outputs are dedicated to the built-in 7-channel CV recorder. Last, each sequence has its own MIDI output channel. 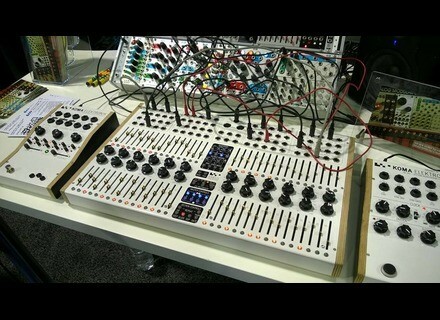 The Komplex super sequencer will be available this Spring, Koma announces a price of $1 500. Details will soon be online at the Koma website. [NAMM][VIDEO] Waldorf NW1 We met Frederic at the Warldorf booth at NAMM for a presentation of the new NW1 Eurorack wavetable generator. [NAMM][VIDEO] Akai Tom Cat Akai introduces at NAMM 2015 a drum machine equipped with a circuit that will make the drums “maul”. Really?